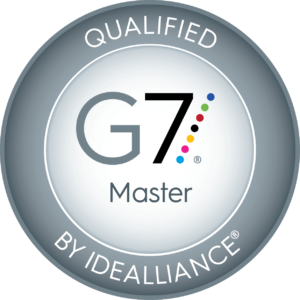 Davenport, Iowa – October 5, 2017 – Elanders Americas has, for the seventh consecutive year, achieved G7® Master Qualification, awarded by Idealliance®, a not-for-profit industry group dedicated to guiding print production best practices, specifications, and standards, worldwide. Elanders Americas joins a select group of print service providers who have successfully completed training, examination and qualification process of their print production processes, validating their capabilities to the highest level of global industry standards and specifications. G7 is Idealliance’s industry-leading set of best practices for achieving gray balance and is the driving force for achieving visual similarity across all print processes. The application of this method enables printers to reproduce a similar visual appearance across all printing types and substrates. Elanders AB (publ) headquartered in Mölnlycke Sweden, is the parent company of the Elanders operations, collectively known as the Group. The Group has approximately 6,500 employees with annual net sales approaching $1 billion USD. Elanders’ company B shares are listed on NASDAQ OMX Stockholm’s Mid Cap list. Elanders Americas is the headquarters for the North America facilities and is located in Davenport, IA. For more information, please visit www.elanders.com.